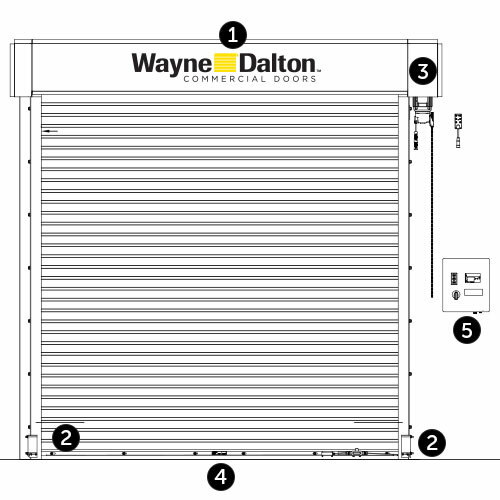 Wayne Dalton’s Models 800 and 800C ADV (Advanced Performance) rolling doors are three times faster than a standard rolling steel door. This high cycle door provides speed in operation as well as lasting durability to make it your top choice for an Advanced Performance door option. The ADV system is built for enhanced productivity with less maintenance required. Our innovative springless design means there are no springs to replace, and the Variable Frequency Drive (VFD) system operates on a soft start/stop to help prevent wear and tear on the system. The direct-drive, heavy-duty gear box motor assembly requires minimum maintenance unlike conventional chain and sprocket systems. An LCD plain text readout on the control panel allows for advanced diagnostics with fast and easy set up and trouble shooting. We’ve designed the ADV system with safety in mind. Doors come standard with enhanced safety devices such as a built-in braking mechanism, wireless sensing edge and photo eyes. Ideal applications are high cycle or high traffic areas, such as parking garages, auto dealerships, warehouses, manufacturing facilities, and airports. 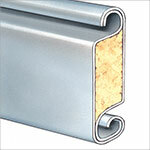 ** Wayne Dalton uses a calculated door section R-value and U-value for our insulated doors. 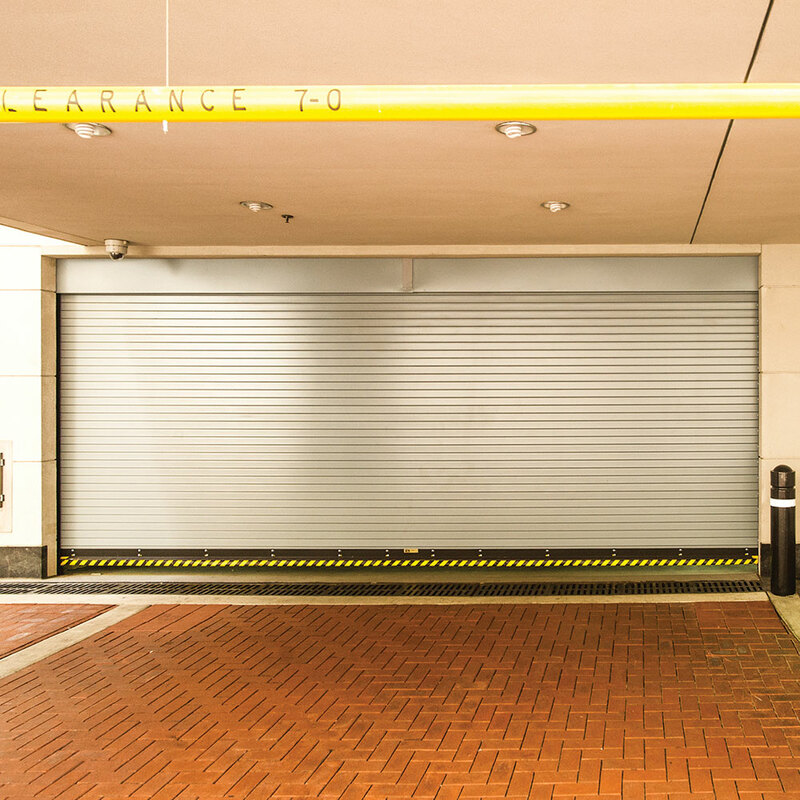 Springless Barrel Design - Springless high cycle design allows for the door system to be opened and closed frequently creating asset longevity and reliability over extended time without having to incur the cost of a spring replacement. Heavy-Duty Commercial Photo Eyes - Photoelectric sensors reverse the downward motion of the door when a person or object enters its path. Direct Drive Heavy-Duty Gearbox and Motor with Built-In Breaking Device - Ideal for high cycle applications. No drive chain and sprocket to adjust and maintain. Braking mechanism protects against uncontrolled travel. Manual hand chain override for door operation during power loss. Wireless Safety Edge - Wireless, monitored safety edge reverses downward motion upon impact. NEMA 4X Control Panel with Built-In Variable Frequency Drive - Allows door to close at a slower speed than it opens to meet safety requirements. The LCD readout indicate door actions, alarms and fault conditions. Timer to close programming options and non-resettable cycle counter are included for maintenance and service reminders. 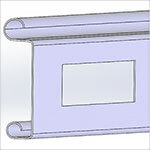 Vision/ventilation: 5" x 3/4" open fenestration; 5" x 3/4" acrylic vision lite. 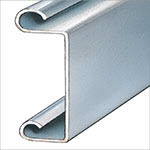 Perimeter seals: surface guide weatherstrip, angled guide brush seal, exterior lintel weather seal, interior weather baffle. Wind load: up to ±55 psf; options available to meet up to Dade County – Florida Building Commission High Velocity Hurricane Zone. Our 800 ADV and 800C ADV doors are finished with a hardened powder coat formula that is ideal for high cycle applications and required to maintain the warranty on the finish.